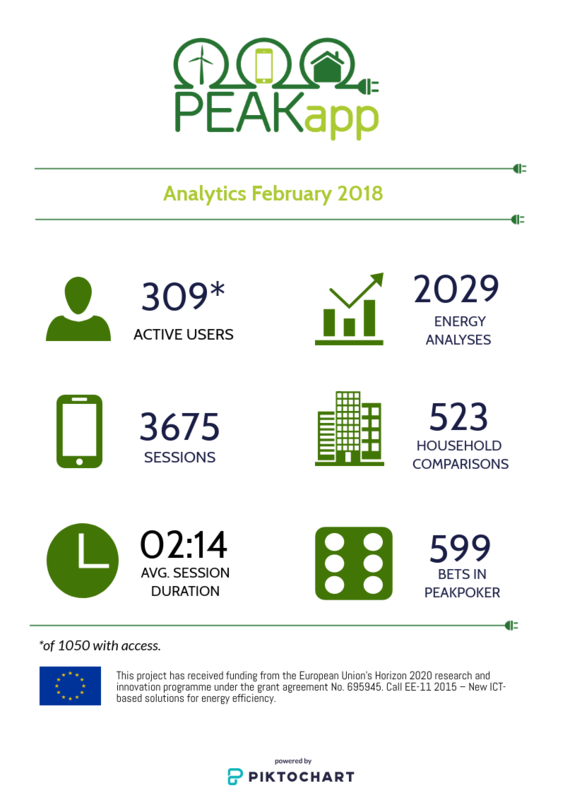 The PEAKapp project has been running for 18 months now. The project includes the field test of the energy management and customer engagement software that has been developed for the project by smart metering specialist GreenPocket. By now, the test phase for the software is already in progress for 8 months to examine whether and how consumer behavior in private households can be positively influenced. At this stage, it is time to take stock – with promising results! The aim of the PEAKapp project is to promote a consumption pattern that can ideally contribute to smoothing out peak loads. For this purpose, a field study with more than 1,500 participants is carried out over the duration of 12 months to test the influence of specific software features on the user behavior. The gamification application is designed to promote the users’ interest and understanding of their own energy consumption by engaging them with gaming elements. The better knowledge of their consumption provides the users with the fundamentals for optimizing efficiency. The campaigning tool enables the energy supplier to offer his customers price incentives through flexible discounts in order to motivate users to switch on devices with high consumption when the availability of renewable energy is high. The benchmarking tool allows a comparison of the users’ own consumption with that of similarly equipped households. This creates a competitive atmosphere between users, which aims to motivate them to optimize their consumption behavior. In the next step, the results of the energy game and the household comparisons can be shared via social networks. The goal is to prompt discussions on current trends in the energy sector and on potential saving opportunities. The field study ends in the summer of 2018, but the preliminary results already establish a basis for a first analysis.